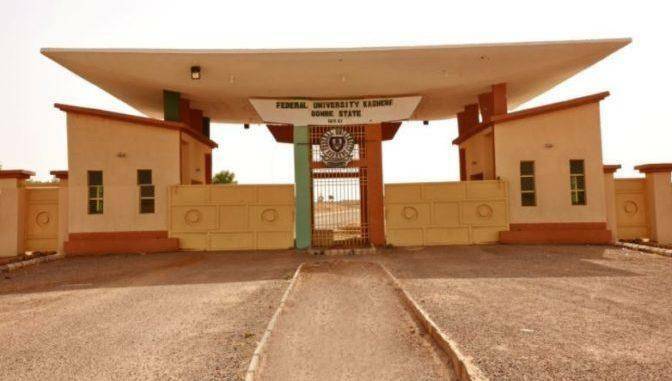 FUKashere Registration Procedure For New Students 2018/2019, the management of Federal University, Kashere has published the registration procedure for all newly admitted students of the university in the 2018/2019 academic session. Registration would commence on Monday, 15th October, 2018 and end on Sunday, 21st October, 2018, while late registration would commence from Monday, 22nd to Wednesday, 24th October, 2018. Password: Your Jamb Registration Number. NOTE: (The system will prompt you immediately for change of password after first login). Upon successful login, ENSURE that you update your profile as Payment receipts and Vital information will be communicated to you via your e-mail address. Print it and come along with it together with photocopy of all your credentials for registration. Select the ‘Fees Payment’ link to display fees schedule. You can choose to add accommodation to your bill subject to availability from the Fees Payment Page. Verify the information displayed e.g (D, Name, Reference Number e.t.c) and choose your preferred payment method (Master Card, Visa, Bank e.t.c) and click on “accept”. Note that your Remita Retrieval Reference (RRR) is required for fees verification. Ensure That you don’t delete it from your email. Return to the registration portal (http://fuk.safsrms.com/) and login as in Step 1 above (Payments made online will be redirected back to the portal automatically). Select the ‘Verify Fees Payment’(Online payments will be verified automatically). Enter your RRR obtained during payment and click on ‘Verify’ (if successful, you will be granted access to Course Registration for your program). Click on ‘Course Registration’ select all the courses you wish to register. Click on ‘Add All Core Course(s)’ to add the courses for registration. Click on ‘Register’ to register the courses. Click on remove if the number of units to register is greater than 24 to remove a course. Payments of Registration fee and accommodation invoices should be generated through the student account on the portal of the university website. The system can only recognize payments generated on the Portal. Students are not allowed to give their money to anybody for payment. Students are advised to make their payments and all registration processes by themselves. FUK would not condone any complaint on payments made through other channels not as specified above. Those with O’ Level deficiency are advised in their own interest not to make any payment for registration. That’s all on FUKashere Registration Procedure For New Students 2018/2019. Posted by RABIU ABDULLAHI on October 10, 2018.